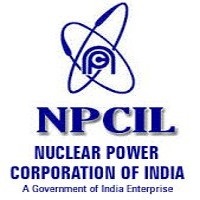 NPCIL Jobs Recruitment Notification 2018.Nuclear Power Corporation of India Limited under the department of Atomic Energy inviting applications for the positions of rade apprentice posts in fitter, turner, electrician, welder, carpenter, wireman, machinist, painter, sheet metal worker jobs.Interested and Eligible candidates can apply for the positions. Total number of vacancies to be in NPCIL is 90. In between 16 to 24 year candidates can apply for NPCIL recruitment. 05 years age relaxation for SC/ST and 03 years for OBC. Contenders those who have done ITI in respective trade can apply. On basis of candidates merit they are going to be hired. Mode of applying for NPCIL recruitment is through online mode. 10th October 2018 is the last date to apply. http://apprenticeship.gov.in/Pages/Apprenticeship/ApprenticeRegistration.aspx is the link to register and http://apprenticeship.gov.in/MIS/PreLog/UserLogin.aspx is the link to login.